The table saw is undoubtedly the workhorse of the wood shop. However, it does require some regular maintenance to keep it running well. An improperly tuned table saw will not only cut inefficiently, but it can also be hazardous to the operator. 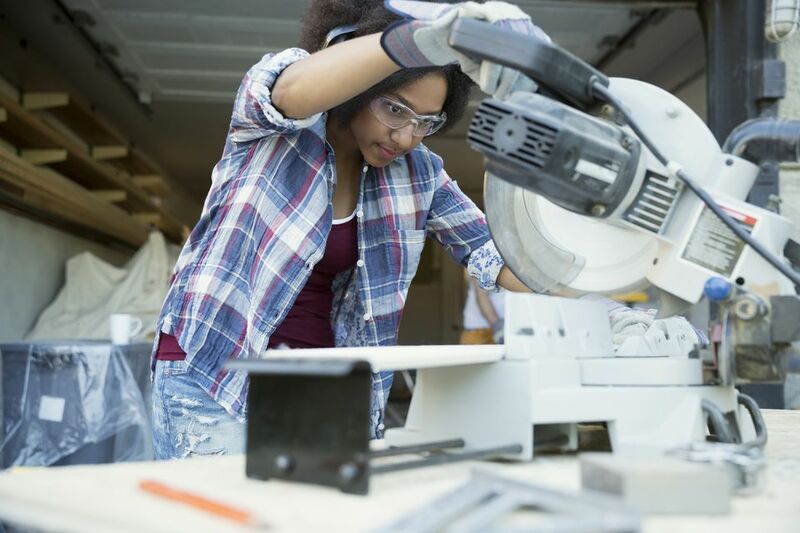 Fortunately, there are a few simple steps to tuning up your table saw that will keep it running smoothly, cutting cleanly, and allow you to work as safely as possible. How Do You Know When Your Table Saw Needs a Tune-Up? If you pay attention to your table saw, it will tell you when it needs some adjustments. For instance, your saw blade needs to be perfectly parallel to your fence. If the blade is out of alignment, you will likely notice burn marks on the wood (although cutting too slowly or allowing the wood to close the kerf cut past the saw will also cause burning). You may also find that the blade tends to cut straight until the very end of the cut, where a bit more stock may be removed than desired. This "extra" cutting is often accompanied by a ringing sound from the blade (as it straightens after being deflected). The first step to tuning up your table saw is to take a good look at your saw blade. The blade should be sharp, relatively free of pitch and perfectly flat. You can determine if the blade is flat by watching the blade slow down after you turn off the saw. When the blade is slowing down (and approaching the point where it stops) you'll be most likely to see any "wobble" in the blade. If the blade wobbles, it needs to be replaced. With a sharp, flat, clean blade properly installed on your saw, the next step is to ensure that the blade is parallel to the saw's miter slots. To check the blade's alignment, raise the blade as high as it can go. Pick one carbide tooth on the blade, and rotate the blade until that carbide is level with the table on the side of the blade closest to the front of the saw. Measure from the carbide to one miter slot and note the distance. Then, rotate the blade until the chosen carbide is at table level at the rear of the saw, and measure again. If the distances don't match, adjust the motor as per the saw's manual. With the motor and the blade aligned, we'll next check the rip fence's alignment. If the rip fence is not perfectly aligned with the saw blade, the saw will be more inclined to kick back, a very dangerous situation. Since we know that the blade is now perfectly aligned to the miter slot, we'll align the fence to the miter slot. Stand a straight-edge (at least as long as the fence) in the miter slot, and slide the fence until it rests firmly against the straight-edge. Sight down the straight-edge and look for any gaps between the straight-edge and the fence. Adjust the fence as necessary to remove any such gaps. Now that the fence and blade are both parallel to the miter slot (and thus, perfectly in line with each other), check the blade to make sure it is square to the table. Adjust the saw's arbor angle to the 0-degree stop. Then, using a layout square or small framing square standing on its edge, check to see that the blade is at 90-degrees (square) to the table. If it is out of alignment, adjust the 0-degree stop on the saw as outlined in your table saw's owner's manual, and check it again until the blade is square. With the blade square to the table, lower the blade completely. Stand a straight-edge or a square on edge, perpendicular to the miter slot, and push it across the throat plate. The plate should be at or just below the level of the table. If the plate protrudes above the table level, it may impede your ability to push the stock through the blade. If there are adjustment screws on the plate, adjust the height accordingly. Also, check for excessive sawdust or pitch on the lip on the table that holds the plate in place. If your saw is equipped with either a splitter or a riving knife, check to see that the blade and splitter/riving knife are aligned by placing a straight-edge against the blade and splitter simultaneously. Check both sides to make sure that the splitter is even, but if adjustments are needed, refer to your owner's manual for instructions. Next, look inside the table and make certain that the dust collection system and adjustment mechanisms are not covered with excessive sawdust or pitch. Clean as needed. Finally, check the miter gauge to make sure it slides freely through each of the miter slots, and that it is square to the miter slot. Adjust as necessary. Also, check the fence's locking mechanism to be sure it doesn't slip when moderate lateral pressure is applied to the fence. You wouldn't want it to slide when you're pushing against it while making a cut.